Another year, another Agunah Day. But this year, instead of lamenting, we’re taking action. For Agunah Day 2018, the advocacy group Chochmat Nashim is shaking the myth that the phenomenon of agunot is a “women’s problem.” It is a social, communal and halachic problem that is everyone’s responsibility to fix. This year, we call on the community to realize that salvation is not coming from above. Not one representative of the Rabbinate, the religious courts, or the Haredi parties bothered to show up to the Knesset committee discussion on agunot. Not one religious establishment group is making this issue its priority. 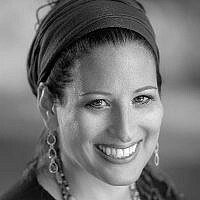 If we want to solve the agunah problem, we need to take action. It’s time for the community to “man up,” sign the halachic prenup (or postnup), or encourage others to do so. 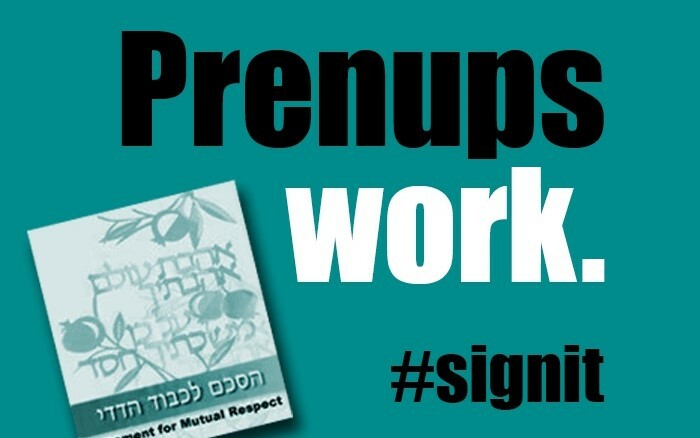 Agunah Day 2018: Tell the community, Man up and sign the prenup! For Agunah Day 2018, Chochmat Nashim is shaking the myth that the phenomenon of agunot is a “women’s problem”. It is a social, communal and halachic problem that is everyone’s responsibility to fix. According to experts, 90% of instances of get refusal can be solved through halachic prenuptial and postnuptial these agreements. Watch and share our video, read and share the blog post.The solution is in our hands. Be part of it. Barring the use of solutions to free women from marriage on a systemic basis, halachic prenups are the best means currently available of preventing spouses from becoming chained in Jewish marriages against their will. Experts estimate that up to 90 percent of incidents of get-refusal could be prevented by such agreements, both by changing communal perception of the issue and via real legal protection in the form of monetary disincentives. While there are a number of halachic prenups available, they are not all created equal. Some cover get-refusal, but not “classic” aginut (when a husband is missing in war, for example, or is mentally incapacitated for whatever reason, and therefore unable to give a get). Others focus exclusively on the “classic” agunah, such as the CWJ Pledge of Compassion and Dignity. 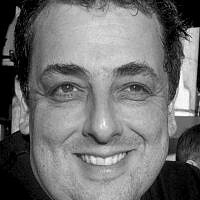 Some provide more autonomy for the couple, bypassing the rabbinical courts in the decision to divorce, while others, such as the Tzohar prenup, rely on third-party arbitration or on the Beit Din (far from a sure path to divorce, given the arbitrary nature of the rabbinic courts). ICAR (International Coalition of Agunah Rights), together with Kolech, the Center for Women’s Justice, IYIM (International Young Israel Movement), and other organizations, are collating the salient details of each version to inform the public and give each couple the means of making an educated decision when it comes time to choose. These agreements come in both prenuptial and postnuptial forms. Married couples who did not sign a prenup when they wed can still sign a postnup, as my husband and I did last year. The main impediment to widespread use of the prenup, according to Dr. Rachel Levmore, is simple ignorance of how it works and how it protects both the couple and the community at large. Long-time agunah champion Dr. Levmore is a rabbinic court advocate, halachic expert, and co-author of one of the most prominent prenups, the Agreement for Mutual Respect. Often, the idea that “it won’t happen to us,” “he would never refuse the get,” or simply being too busy (or too euphoric) in the lead-up to the imminent nuptials to think about something as devastating as divorce can keep people from signing the prenup. But, we must. Thousands of people face extortion or are left to languish in dead marriages each year, unable to achieve freedom. Most of the these cases are not left unresolved for halachic reasons, but rather due to extortion (demands made by one side in exchange for the get). Extremely commonplace, this extortion is often encouraged by the courts and can drag a case out for years, with no resolution. Salvation is not coming from the religious establishment and it is not coming from our leadership. We, as a community, must take matters into our own hands. When Esther in the megillah hesitates to leverage her position to come to the aid or the Jewish people, Mordechai tells her, “Relief and salvation will come to the Jews from another source.” Instead of shaking our fists at “the rabbis” or other institutions that we feel should be doing something, let’s pledge this Agunah Day to step up to the plate. Spread the word about halachic pre- and postnuptial agreements. Encourage your rabbis to refuse to conduct marriages without a prenup. Host a postnup signing party in your home or shul. Encourage friends and relatives to sign. Share our video to spread awareness! 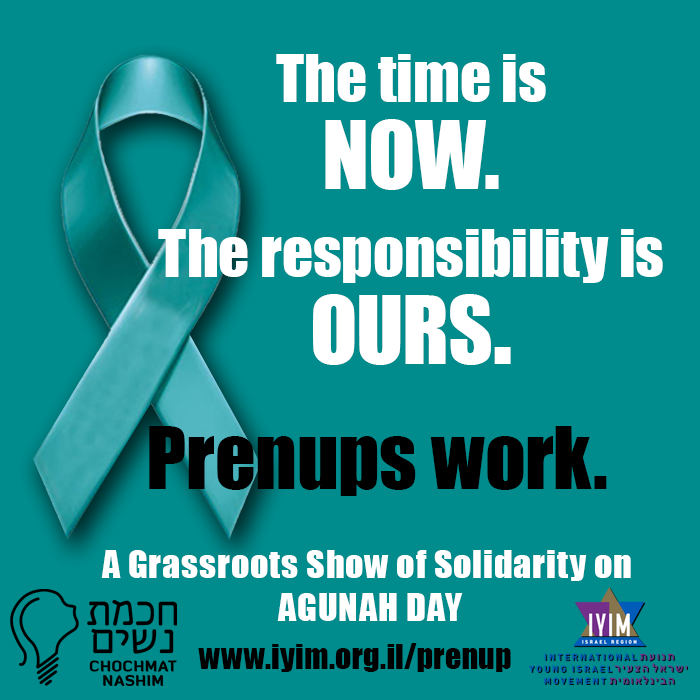 Agunah Day 2018: Tell the community, man up and sign the prenup!